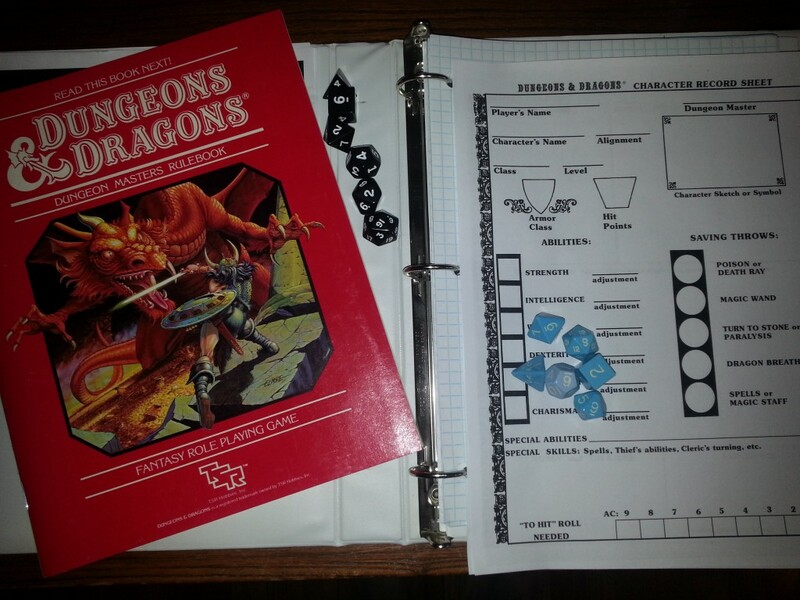 We are playing Dungeons & Dragons Basic using my red box from 1983 with the original dice. Classic gaming goodness right here. This entry was posted in Dungeons & Dragons, Entertainment, Geek and tagged Basic Set, DnD, Red Box. Bookmark the permalink.